It has been the kind of start for Beckets Barbershop that Micheal Phelps would dream of. Straight off the blocks, the barbershop has won over many hearts and hair of Northampton’s gentlemen. 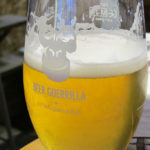 If you do not know who Beckets are, a good place to start is our review. Three months in and the barberhsop is already planning on bringing in a third person in July and is running their first competition for one lucky gent to win a free hair cut or shave. 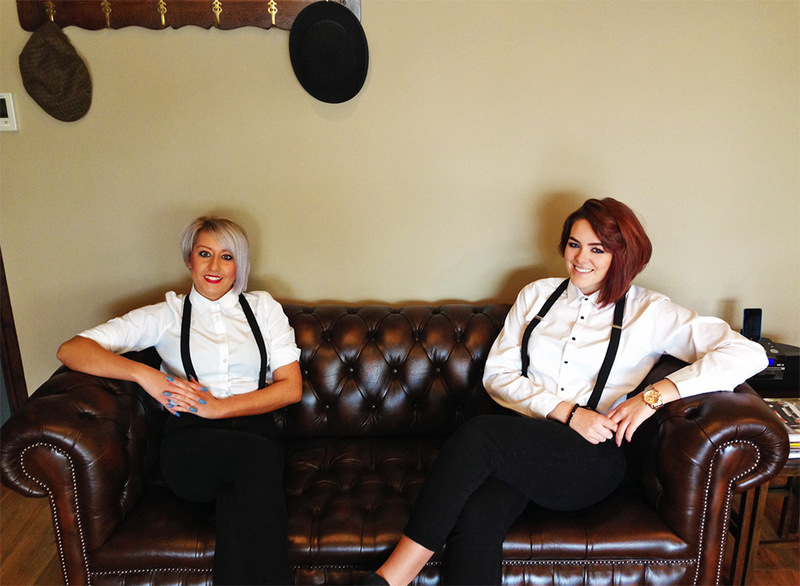 Two individuals who are largely responsible for ensuring Northampton’s gents are looking ship-shape and Bristol fashion are Gaby and Jodie, the women of Beckets. 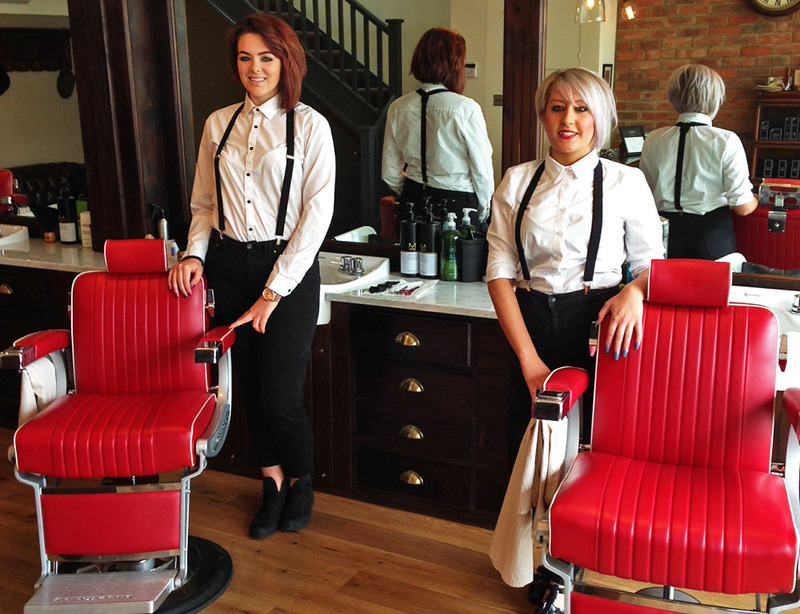 Having both aced their wet shave courses, the females have been busy making a big impact on customers with their clean shaves, beard trims and latest cuts for the style conscious men of Northampton. After hearing of their skills with scissors and clippers, we thought it would be a good idea to do a quick Q&A with the ladies to get a little bit more information about the women who many men are entrusting their precious locks of hair to. A: Pompadour; an original which stemmed from around 50-60 years ago and through the rockabilly era. Today its become very popular again and I just love very sharp haircuts. Q: Most stylish gentleman of all time? Q: Do you prefer beards or clean shaven? A: On men today, stubble with really clear, sharp lines . That way it’s a beard that looks tidy. But I also love clean shaven as I love how fresh a face looks after a traditional wet shave. 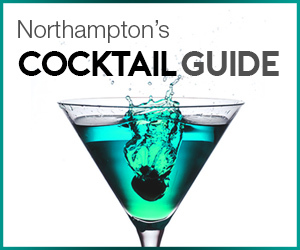 Q: What are your favourite products to use on Northampton’s gentlemen? A: My favourite men’s hair product we use is Clean Cut simply because it creates the perfect matt finish without feeling too heavy and holds the style very well. For beards, I like using Captain Fawcett’s Booze and Baccy Beard Oil; its a true blend of classic oils and traditional fragrances that really stand out as a true gentleman’ classic! For shaving, Edwin Jagger Aloe Vera Shaving Cream is great because it’s very smoothing on the skin and has a natural smell which is refreshing. It is a good all rounder and works well for my clients that may have sensitive skin. A: For hair, its The Reformer because I find you get more texture from the hair and its reworkble, making it easier to change the style. For beards, it’s Captain Fawcett Original Beard Oil. It has a mix of essentail oils that mirror a classic gentleman’s fragrance and helps soften the beard to its finest quality. For shaving, I like Edward Jagger Lime & Pomegranate Shaving Soap; it has the perfect summery smell and has a revitalising feel on skin. With Beckets constantly sending the barbers across the country to learn the latest styles and techniques, it seems that gents can take to the barber chair confident that hair is in safe hands with the females. One could almost say that their skills are razor sharp (sorry, we just can’t pass on a pun). To book an appointment with any of the barbers, contact the shop at 01604 631081. 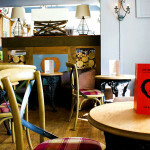 To have a chance to visit Beckets and win a free haircut or shave, enter the competition today.